One really cannot feel too much empathy for the fact that billionaire Mark Cuban was pursued by the federal government on insider trading charges. He could, after all, afford either to fight the charges or pay the fine without feeling any pain. Cuban decided to do the principled thing, the costlier thing, the less expedient thing and fight the charges. Obama’s Securities and Exchange Commission pursued Mr. Cuban on civil charges and not criminal charges. I would guess that the burden of proof is less stringent on civil cases so they took the easy path expecting Mr. Cuban like many others to buckle and pay the fine. 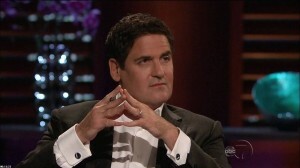 Mark Cuban being the shark that he is pushed back and fought AND WON recently! Again maybe you would tend to wish against the rich guy, but let’s not be coy here, Cuban won because he is rich. I don’t suggest that Cuban got a better deal because he is wealthy, but he was able to fight the full force of the federal government because he was rich…oh and he wanted to push back. Perhaps the SEC chose the wrong foe? Imagine now that is was you who had to fight the government in a legal battle. Maybe the IRS claimed you owed them thousands of dollars in back taxes and the associated fines and interest. The IRS has virtually unlimited money and lawyers and unless you are worth millions you don’t really stand a chance. This article was published on Oct 20, 2013 . It is tagged charges, civil, federal government, fought, mark cuban, sec, trial. You can follow any responses to this article through the comment RSS feed.